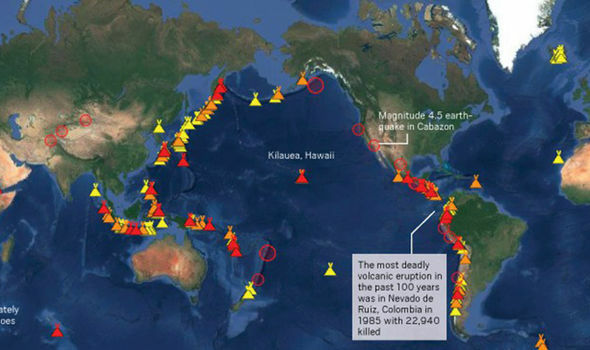 Experts are warning that California could very well be the next region to experience either an earthquake or a volcanic eruption after the recent Kilauea volcano explosion in Hawaii and 5.2 earthquake in the Philippines that have shaken up the Ring of Fire. According to The Express UK, the Pacific Ring of Fire volcanoes are more explosive than the ones located in the island state of Hawaii. With Hawaii experiencing widespread devastation at the hands of the Kilauea volcano, geologists are now warning that California could be the next in line for an explosive eruption. The “very high” threat volcanoes in California referred to in the above article include Lassen Volcanic Center, Long Valley Caldera, and Mount Shasta.